Since 1962, Allpro Contracting and our Oak Lawn remodeling contractors have been helping local residents vastly improve the ways in which they use and enjoy their homes. Our professionals are adept at designing and constructing walkways, driveways, decks, fences, and patios in Oak Lawn, IL in addition to a full line of interior remodeling services. We are especially skilled at both bathroom and kitchen remodeling. The one constant in all of our work is our goal to achieve complete and total customer satisfaction. If you have an interior or exterior remodeling project planned for your Oak Lawn home, call Allpro Contracting today. Our courteous and polite staff would be happy to take your call and to help you get your effort started. Our highly skilled professionals would be honored to assist you in any way that we can. We can schedule your appointment today. At Allpro Construction, our Oak Lawn exterior remodeling contractors have the knowledge, skill, and experience necessary to handle the most difficult and extensive projects. If you want to make a change to your residence that involves concrete paving or paver construction, our team is the right one for the job. We can help you design a patio, driveway, or walkway that will fulfill all your needs and will complement the beauty of your Oak Lawn residence. You and your family should be able to take full enjoyment of your entire property. If your backyard is being neglected, one of the best ways to enhance your use of the area is to construct a new deck. A deck is the perfect place for you and your family to relax and enjoy the weather. It can be designed to accommodate any use including special events and entertaining. Our Oak Lawn exterior remodeling contractors specialize in designing, constructing, refinishing, and repairing custom wood decks. We are also quite experienced at working with composite decks. No matter what your goals are, our professionals can help you achieve them. You and your family will be completely pleased with the results. Your bathrooms and kitchen have a tremendous impact on how you and your family use and enjoy your home. If you want to update on portion of your living space or if you want to completely redesign these rooms, our Oak Lawn interior remodeling contractors can help. We have assisted countless residents with their bathroom and kitchen remodeling projects over the years. There is no limit to what can be accomplished with our help. 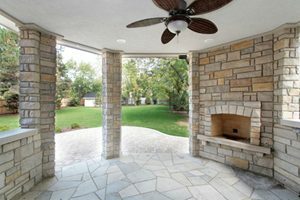 If you are looking for a professional Oak Lawn remodeling contractor for patios, driveways or other interior and exterior services, then please call 708-658-3500 or complete our online request form.